China has decided to give South Sudan's mining sector a boost by lending the young state between $1 and 2 billion, the country's mining minister said on Monday. The full amount will be spread between infrastructure projects, the mining industry and agricultural projects. Together, the two countries will conduct South Sudan's first geological survey, funded by a $43 million Chinese loan, Reuters reports. The study will help South Sudan provide mining licenses as it looks at extracting gold and other metals including copper and iron ore.
"We want to enhance the friendship and the very good relationship with South Sudan…to encourage a lot of Chinese companies to join the development of South Sudan," Chinese ambassador Ma Qiang told Reuters reporters. Earlier this year the country introduced a mining bill aimed at developing the sector and attracting foreign companies. Currently, the land-locked nation's metal resources are mined mainly by small-scale freelance miners looking for gold. Oil exports, South Sudan's major source of income, are highly dependent on relations with neighbouring Sudan – South Sudan's former rival in war and now its refiner and transporter of crude. 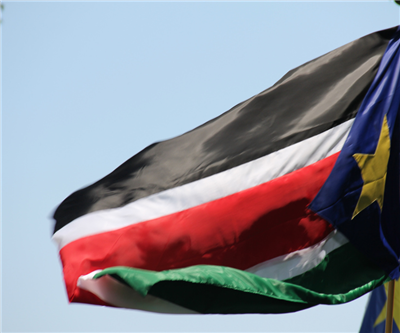 According to China's state-owned Xinhua news service, South Sudan is preparing an international investment conference in Juba for December 2013.